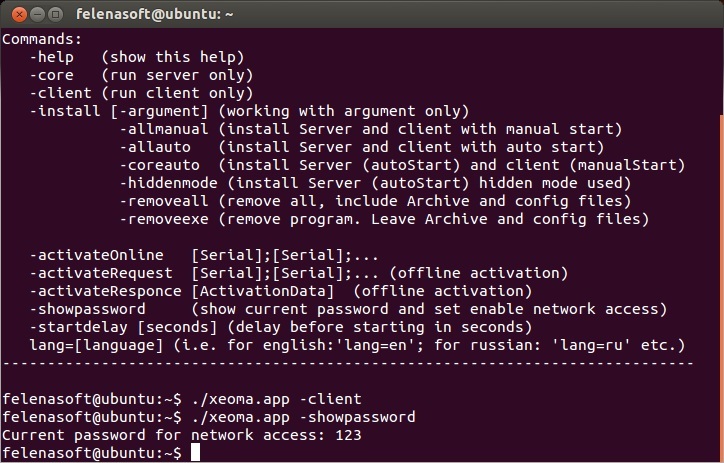 This user manual on how to use Xeoma as Linux surveillance software will give you an insight into what basic steps to use Xeoma on Linux OS are. Unpack the downloaded tgz file (click the right mouse button when hovering cursor over the file, and choose the unpack option). You will see the xeoma.app diamond icon. You can now launch Xeoma by double-clicking it. wget http://felenasoft.com/xeoma/downloads/xeoma_linux.tgz (for 32 bit Linuxes). Unpack the archive with the tar command. After unpacking is done, you will get the xeoma.app file. Run it to start Xeoma (both server and client parts at once). When you access the file, the short help will be displayed with commands that can be used (they can also be viewed in our ‘Help’ section). You can change language via console, install and uninstall the program, run it and activate it. To setup other features (for example, add and configure cameras, add user profiles, change password and set it for local access, etc.) you will need to connect to this server part from a client. The machine with the client part must have graphical shell. This can even be your Android smart phone. As you see, Xeoma Linux ip camera software for Linux is as easy to handle as Xeoma for other operating systems. 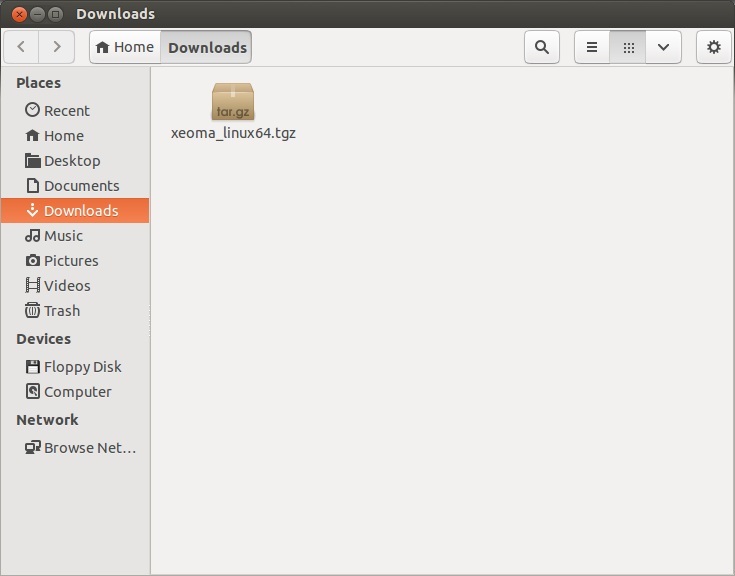 Moreover, you can save not just nerves and time but also money with Xeoma on Ubuntu or other Linux distros. 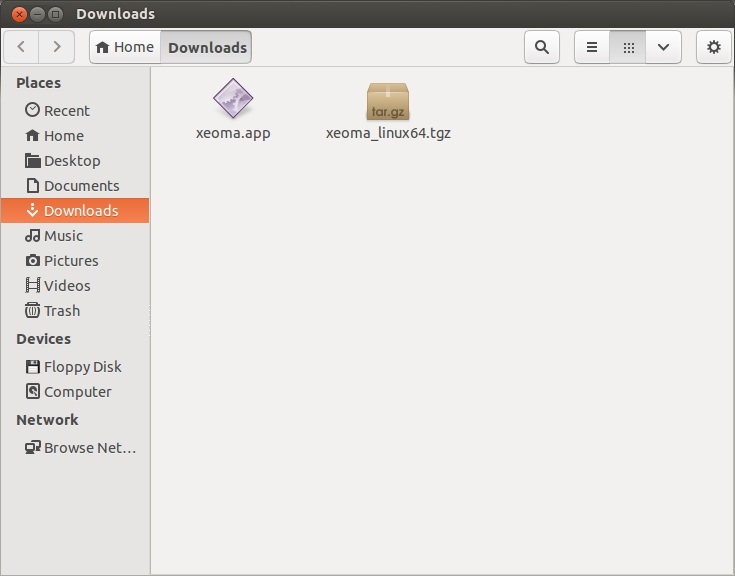 Wonder where Xeoma’s settings and archives are stored on your Linux? Please check the ‘Location of Xeoma files’ article! If you need to edit the script (for example, to increase delay before start) you need to do that with admin rights, otherwise the changes won’t be saved. Please make sure that you are launching 32 bit Xeoma on 32 bit Linux, or 64 bit Xeoma on 64 bit Linux. Installing ia32-libs might help, or simply use Xeoma of bit capacity that matches your OS’s bit capacity. Another reason for this error might be insufficient rights. In such case please try to execute chmod 777 xeoma.app in the folder where your xeoma.app is, and then launch Xeoma server again (xeoma.app -core). If you are getting the No such file or directory error at launch, please check if you run the program on one of supported operating systems. Also, this error can occur if you run 32-bit Xeoma on 64-bit Linux (or vice versa). Make sure to run 32-bit Xeoma on 32-bit Linux and 64-bit Xeoma on 64-bit Linux – just download suitable version of Xeoma for your OS. This error can occur if you’re trying to launch Xeoma on a USB stick or a disc mounted into the system with a noexec parameter. We recommend to try to launch Xeoma on a system disc or disable execution restrictions. If you’re getting the Illegal instruction error at launch you might be using an outdated processor that can’t process Xeoma. In this case please try to launch an older version Xeoma 15.2.25 instead. If it works while newer versions don’t you are advised to upgrade your hardware. a. Processor is too old and it can not be used to run Xeoma. In this case please try to launch an older version Xeoma 15.2.25 instead. b. Wrong xeoma.app file. Please check your OS and download the correct version of Xeoma (for 32-bit or 64-bit system). 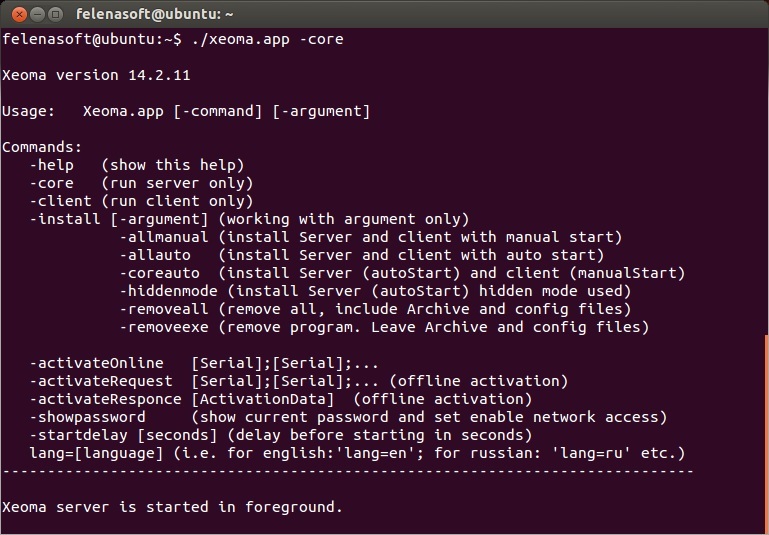 You can execute command uname -a for xeoma.app file via Terminal and send us console’s output, so we could check what file you downloaded. c. File is not fully downloaded/unpacked (corrupted file). Re-download and/or re-unpack Xeoma archive. If you’re getting the version `GLIBC_2.17′ not found error at launch you might be using an outdated operating system that doesn’t support GLIBC_2.17 (or higher) required for Xeoma Linux ip camera software starting from version 17.7.31 (for example, CentOS 6). Solution: please use an older version of Xeoma (older than 17.7.31) or update your OS. please install the xdg-user-dirs package and run installation again. If none of this helps, please contact our technical support with the description of the issue. To activate Xeoma license or renewal, you will need the 25-digits serial number you received after purchase. Important: please use clipboard copy/paste instead of manually entering serial number to avoid spelling mistakes. For Terminal, please use hotkeys Ctrl+Insert or Ctrl+Shift+C for copying and Shift+Insert or Ctrl+Shift+V for pasting. If a 64-bit operating system is used, you might get an error «Command not found» when launching the utility. In this case you need to install a set of 32-bit libraries. In DEB-based distros install the libraries with the sudo apt-get install ia32-libs command. To run utilities in RPM-based distros you might need to install a 32-bit library glibc: sudo yum install glibc.i686.